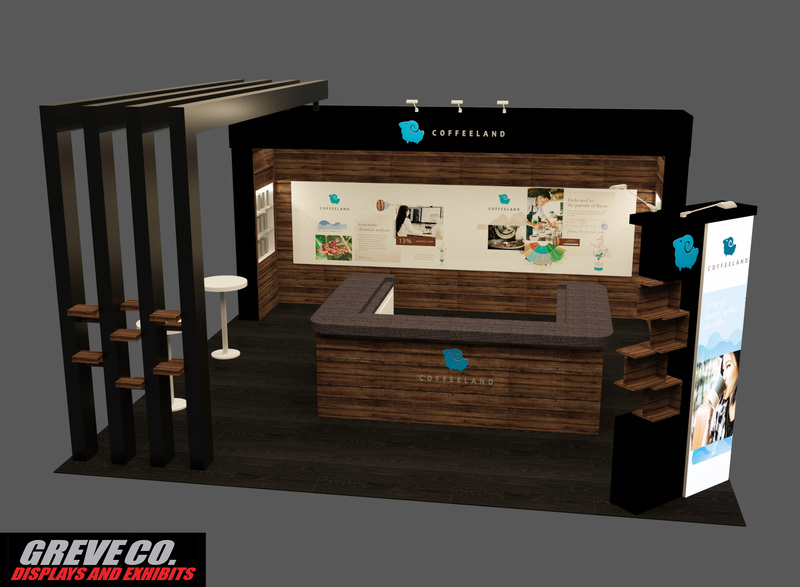 This 20x20 custom rental trade show booth was designed for Coffeeland for the Specialty Coffee Association – SCA Expo in Boston, Massachusetts in the Massachusetts Convention Center. 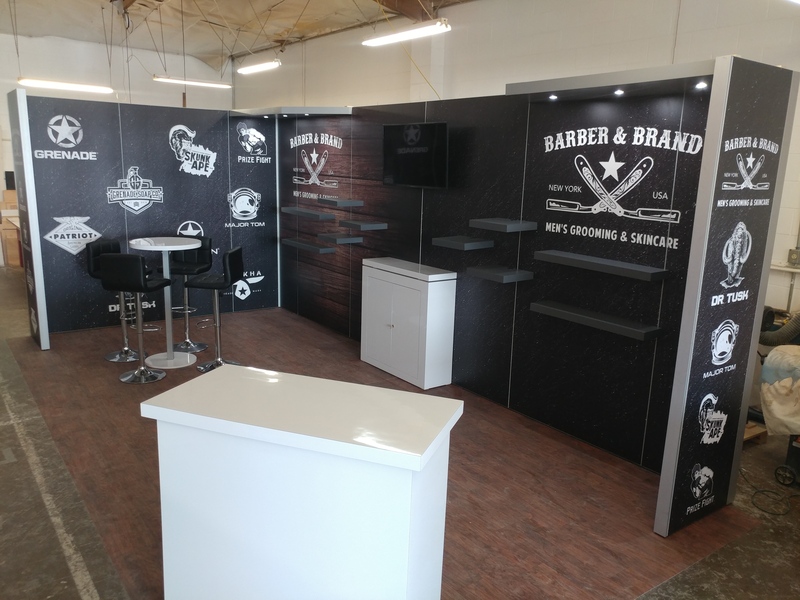 This rental trade show exhibit is made from modular aluminum display system frames, custom hard-wall canopies, display cases, coffee brewing bar, product display light box and interchangeable graphics wide format printed on PVC. 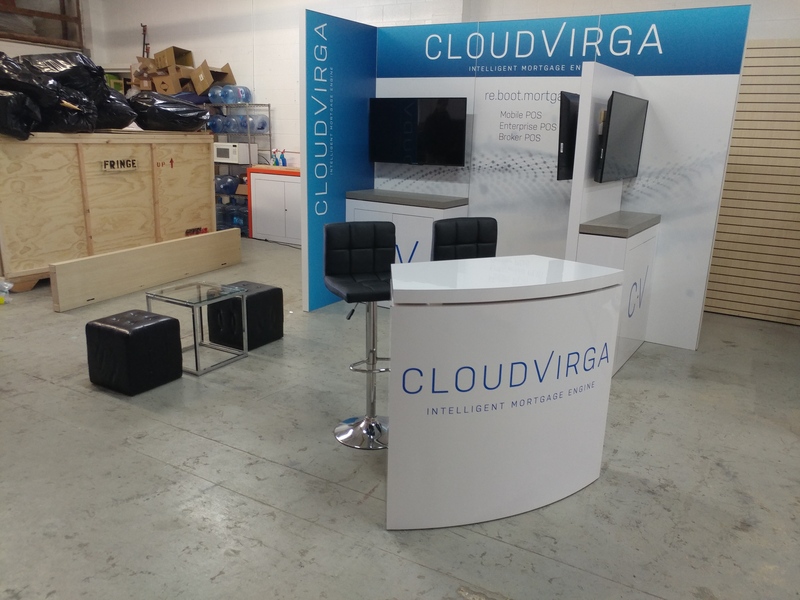 This 10x10 custom rental trade show booth was designed for Cloud Virga for the Ellie Mae Experience in San Francisco, California in the Moscone Center. 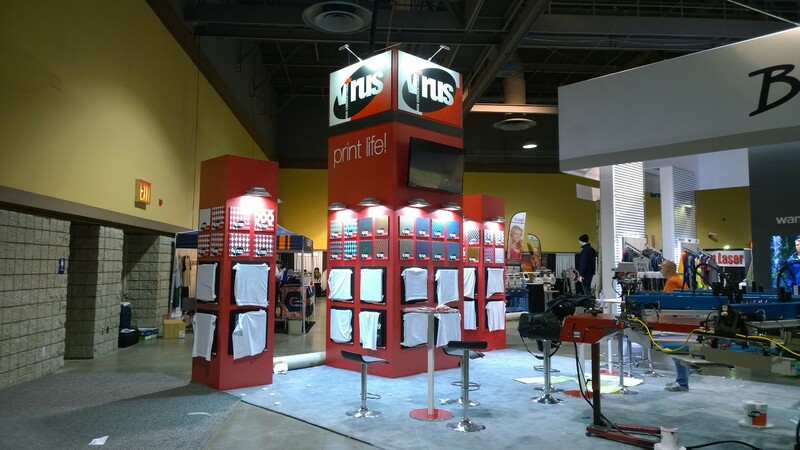 This rental trade show exhibit is made from modular aluminum display system frames and interchangeable graphics wide format printed on PVC. 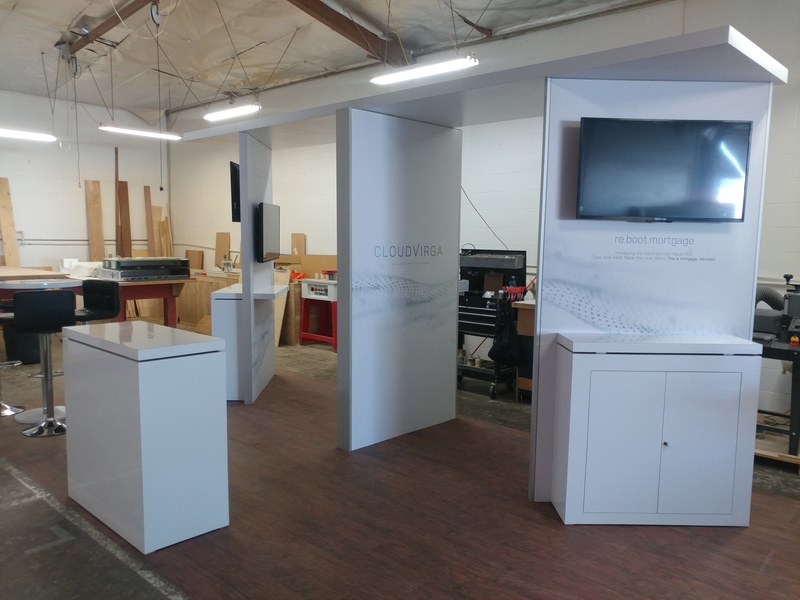 This 10x20 Custom Rental Trade Show Booth stand was designed for ABOX42 for the National Association of Broadcasters NAB Show in Las Vegas, Nevada in the Las Vegas Convention Center. 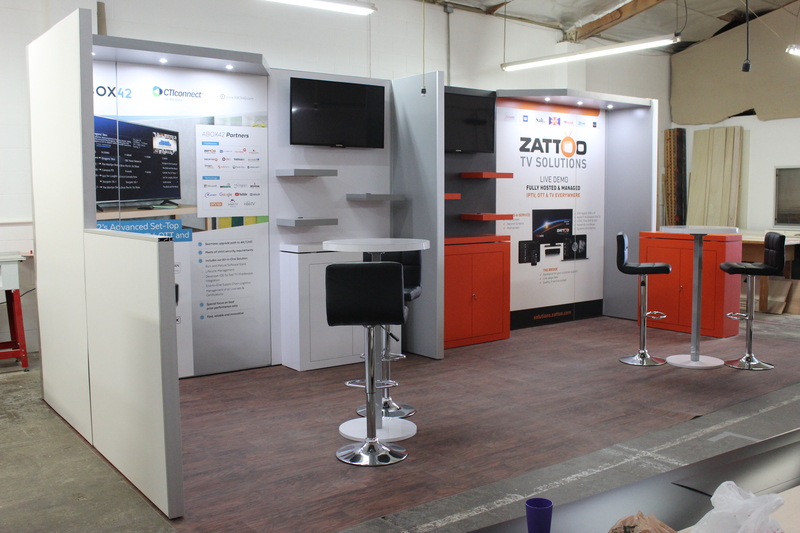 This rental trade show exhibit is made from modular aluminum display system frames and interchangeable graphics wide format printed on PVC. 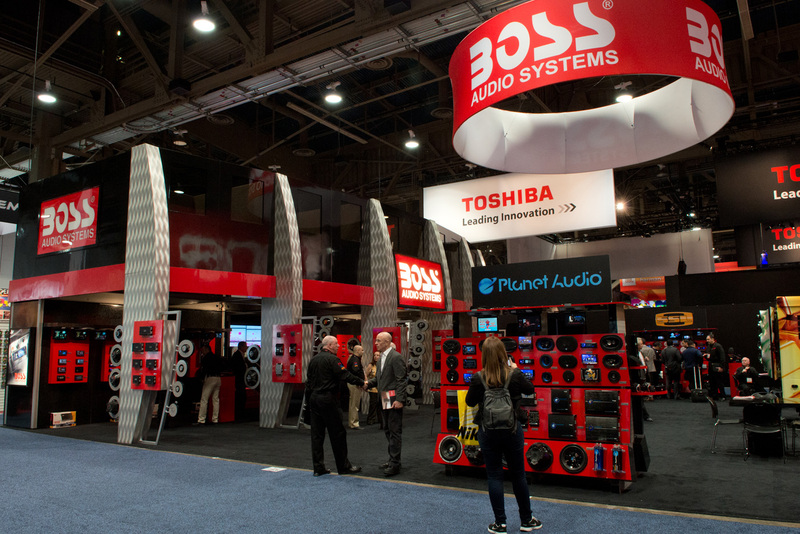 A tower in a booth space can put your company logo up in the view line without the costs of a hanging sign. 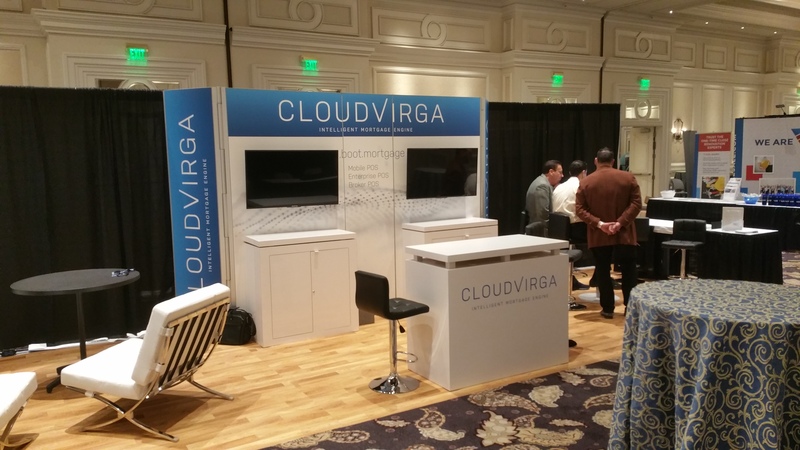 You can use it as a hub for storage and a way of attracting leads. 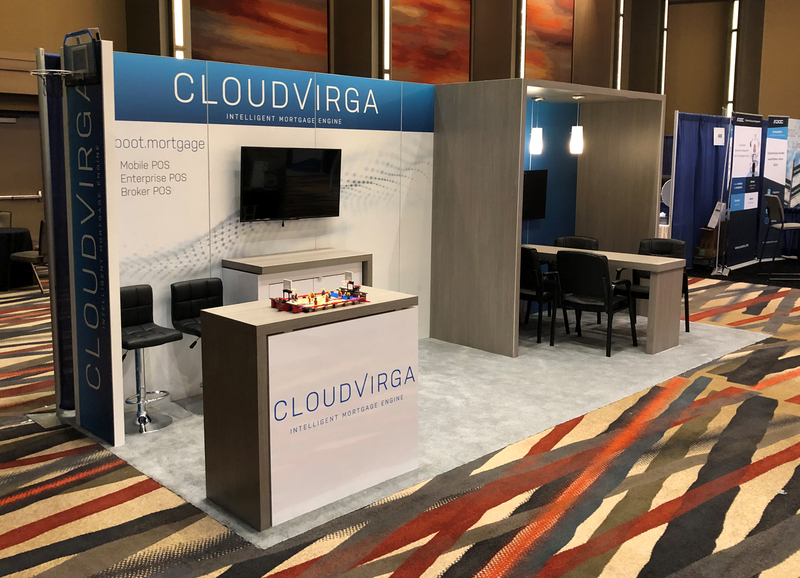 A two story booth or also known as a "double decker" is a great way to make use of a small booth footprint but still have room for displaying product or making use of private meeting rooms. 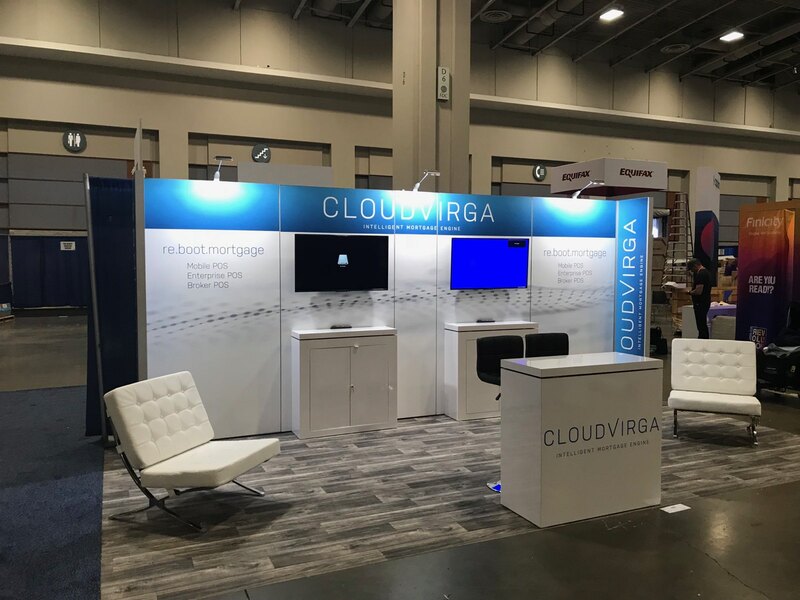 This booth is hard to beat for the price and without storage fee's.